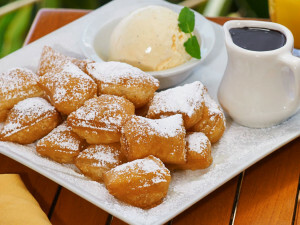 TravelChannel.com names the top 10 “Travel’s Best: Summer Foods” for 2015 with crave-worthy creations and classic comforting bites. Whether you’re catching a game at Citi Field or looking for a spot to enjoy a glass of wine with a view of the Amalfi Coast, this year’s list provides travelers with the most delicious eats all summer long. TravelChannel.com enlisted culinary experts, award-winning chefs and praise-worthy “foodies” to hunt down this year’s most amazing summer eats, including: Jackie Kai Ellis (writer and baker), Chris Grundy (host, “50/50” and “Blog Cabin”), Kristen Kish (host, “36 Hours” and “Top Chef” Season 10 winner), Meghan Markle (actress, “Suits” and writer/creator, The Tig), Kristen Miglore (executive editor, Food52), Marianela Pereyra (host, “Marianela’s Best Beaches”), Frank Prisinzano (restaurateur and chef), Kelly Purkey (graphic designer and blogger), Brendan Spiegel (food and travel writer) and Nadeen White (blogger, The Sophisticated Life). Best Ballpark Food: Blue Smoke on the Road – Queens, N.Y.
At Citi Field, the New York Mets have figured out how to keep their fans well-fed and happy with Blue Smoke on the Road and its “gotta-have” North Carolina pulled pork sandwich. This meaty sandwich is stuffed with applewood smoked pork, topped with a soft brioche bun and exclusive to Citi Field. You won’t find this at any other Blue Smoke location, so making a trip to see the Mets and picking up this sandwich is definitely worth putting on your summer bucket list. Best Bar Food: Bartaco – Atlanta, Ga. The atmosphere of the Mexican-themed Bartaco in Atlanta’s West Midtown makes it an essential summer go-to spot for drinks and food served inside or out. If you can’t decide on which small bite to order, go with the sesame rib-eye taco – a nod to the Asian and Mediterranean influences at Bartaco. Other menu favorites that will have you shouting olé include the Baja fish and the curry shrimp tacos, sweet fried plantains and guacamole with chips. Nestled between Austin and San Antonio, Texas, is Smitty’s Market. Here, you can have a truly authentic Texan barbecue experience…just don’t expect forks or sticky-sweet barbecue sauce. Order the slow-smoked, fatty brisket and the sausage and you may have one of the best meals (and barbecue) of your life. You’ll get a knife, hot sauce, soft white sandwich bread to mop it all up and a severe, but unexpectedly charming, ambience. 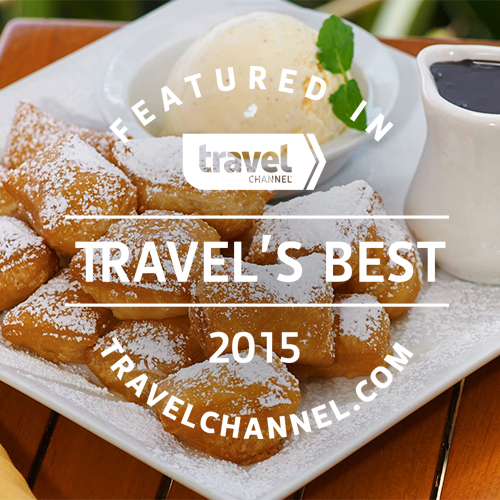 Best Brunch: The Beachcomber at Crystal Cove – Newport Coast, Calif. The café is set right on the beach in the Crystal Cove area of Newport Coast – perfect for daytime dining. Indulge in the Beachcomber’s lemon ricotta blueberry pancakes or crab cake Benedict for brunch. Then, treat yourself to dessert with beach beignets. Best Food Festival: Feast Portland – Portland, Ore.
Food festivals are common across North America, especially during the warm summer months, but Feast Portland stands out among the rest. Feast Portland’s mission is to end hunger in Oregon and the United States, and so far, they have served over 700,000 meals in the past five years to at-risk kids. 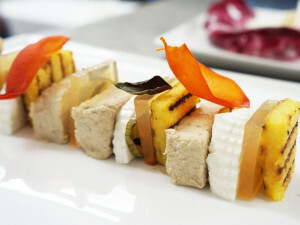 This year’s food festival offers hands-on butchery and brewery classes, twilight markets and showcases from chefs from around North America, making it one of the most unique food experiences on the West Coast. Best Summer Pie: Four & Twenty Blackbirds – Brooklyn, N.Y. In the artisan streets of Brooklyn, N.Y., is Four & Twenty Blackbirds pie shop where two sisters showcase their rural South Dakotan baking skills. Four & Twenty Blackbirds serves up an absolutely perfect all-butter crust that’s always golden brown and amazingly flaky, with just a little bit of tang from apple cider vinegar. The year-round salted caramel apple pie is a perfect mix of savory, sweet and salty – delectable especially during summer. Ravello, Italy, east of Sorrento and Positano, is home to Da Salvatore Ristorante. This charming small-town restaurant boasts a jaw-dropping, spectacular view of the Amalfi Coast. As an added bonus, the entire bounty of the Mediterranean and the Campania countryside makes for a wine list to die for. One of the joys of summer cuisine is the ability to use seasonal ingredients at their best and Da Salvatore excels in that concept. Best Seafood: Cantler’s Riverside Inn – Annapolis, Md. There is no better place for crabs than Annapolis, Md., the capital of the blue crab state. A stone’s throw from the United States Naval Academy, Cantler’s Riverside Inn is located on Mill Creek, which flows from Whitehall Bay. The family-friendly atmosphere with community-style tables is perfect when you’re elbow-deep in crabmeat, hot butter and Old Bay seasoning. “It’s not just the food, though. It’s right on the water, with big picnic tables, and you just eat with whoever’s sitting at the table with you,” says Grundy. “People pulling up on boats and joining the party is fun, too.” Docking is free after all (first come, first served)! TRAVEL CHANNEL is a multiplatform travel lifestyle brand with the core mission of providing inspiring and compelling programming that takes viewers beyond their everyday destinations, making the unfamiliar familiar, whether it’s around the world or around the block. A dual feed network that is also available in HD, Travel Channel is the world’s leading travel media brand, and is available in over 94 million U.S. cable homes. Owned and operated by Scripps Networks Interactive (NYSE: SNI), Travel Channel has offices in Chevy Chase, Md., and New York, N.Y. Scripps Networks Interactive (NYSE: SNI) also owns and operates HGTV, DIY Network, Food Network, Cooking Channel and Great American Country.